A “top-down” raglan sweater. 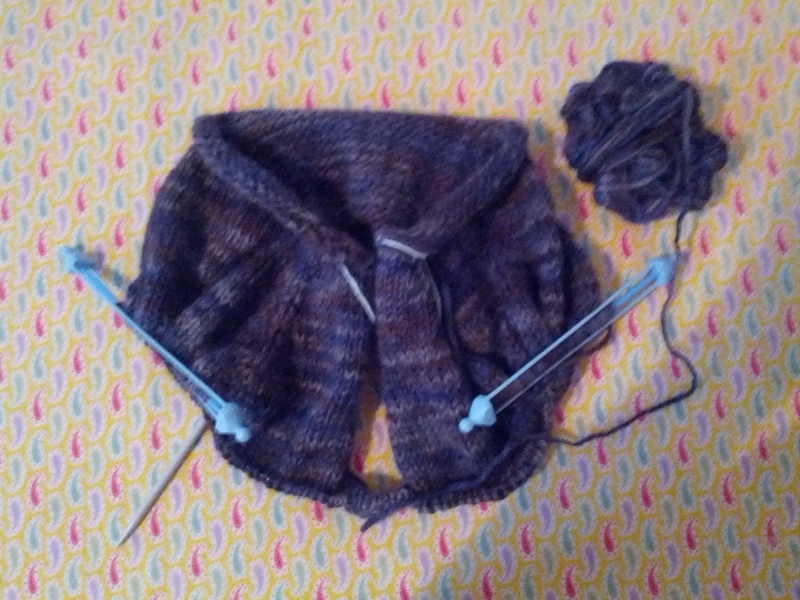 It’s a little hard to tell what’s going on here, but it may help to know that the stitches on the stitch holders will one day become knit in to sleeves, and the upper part will get an added neckline band. 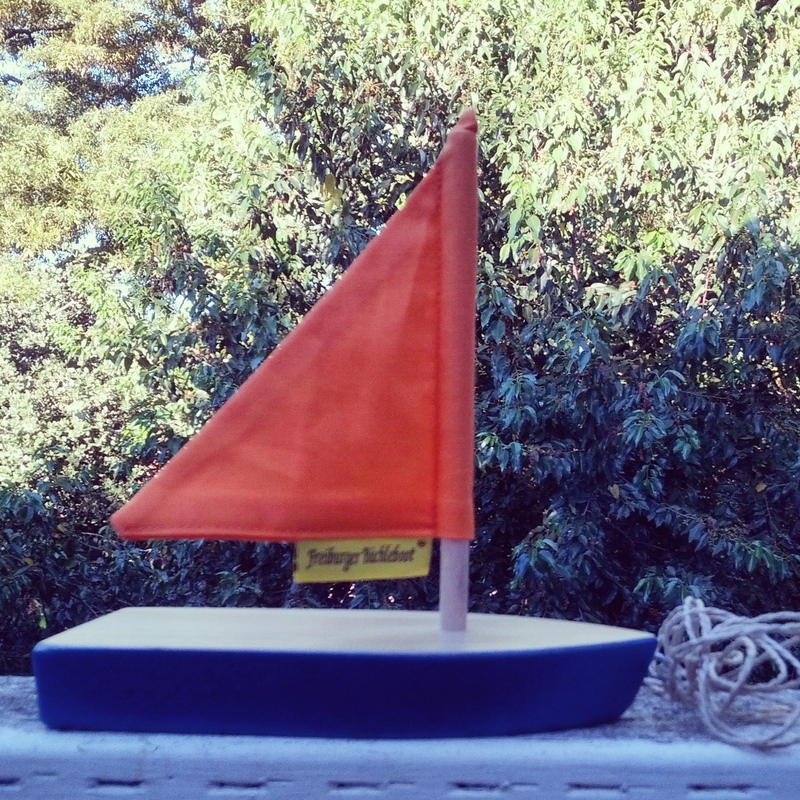 Best souvenir ever: a little wooden sailboat made for sailing on the Freiburg bächle, or “little streams,” mentioned in a previous post (here); see one in use at this site here. This one is sailing off to a new home tomorrow, perhaps eventually to venture Freiburg’s bächle, but probably many other waters before that! 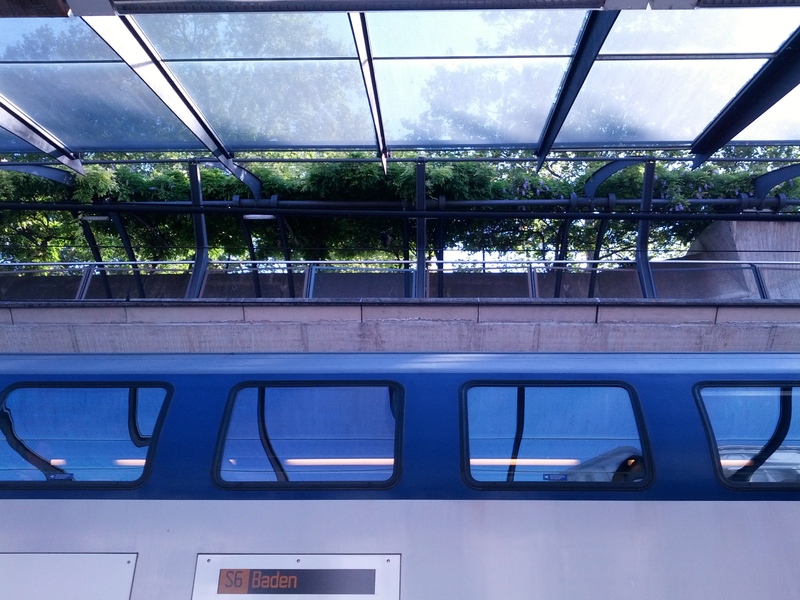 Photo of pretty Swiss train taken as we waited for the one to the Zurich airport nigh on twenty-four hours ago … a person at the airport asked us where we were going, and when we said San Francisco, we think he said (he was speaking German) “beautiful here, beautiful there” … yes! 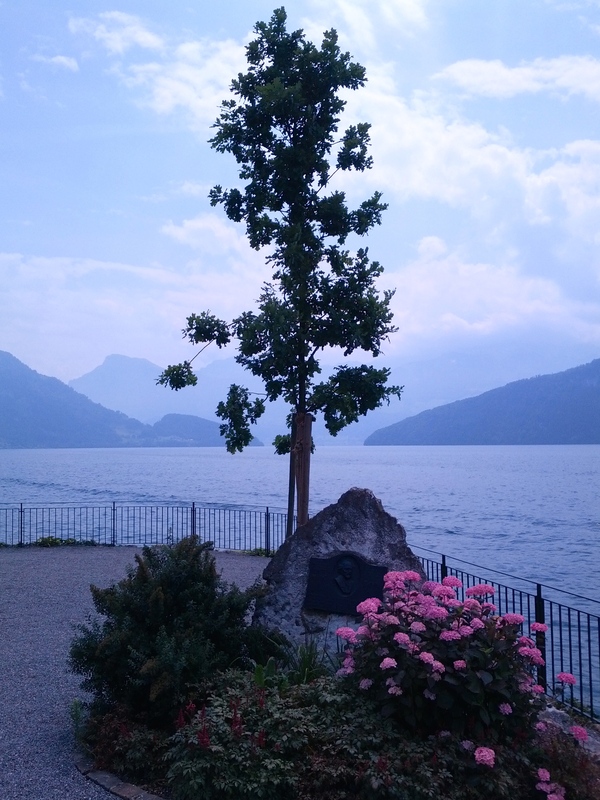 A memorial marking the spot where Mark Twain liked to sit, during the ten weeks he spent in Weggis Switzerland in 1897. Read more about Twain’s trips to Switzerland here. 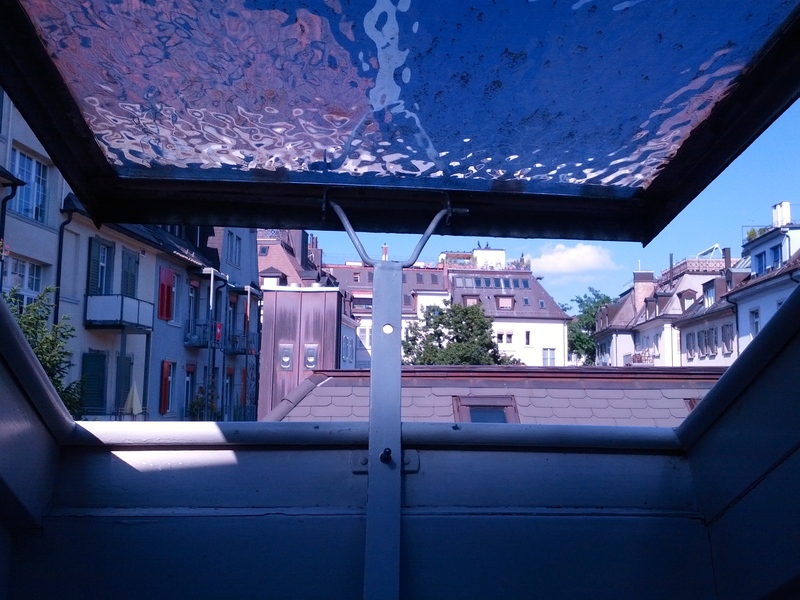 Our day trip to Weggis from Zurich (first by train, then by boat) was beyond enchanting! 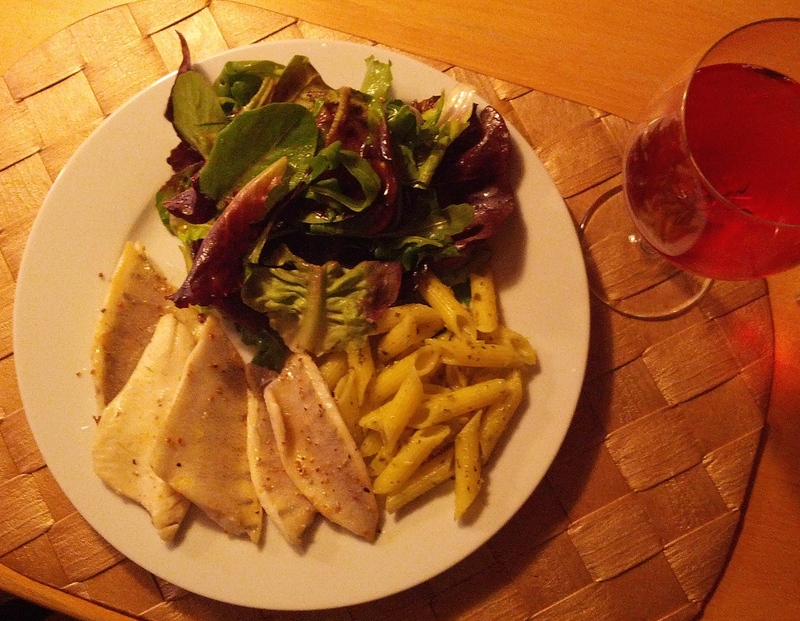 Fresh perch (or “eglifillet”) from Zurichsee cooked in butter–along with salad, pasta with pesto sauce and a tempranillo rosé: deluxe! 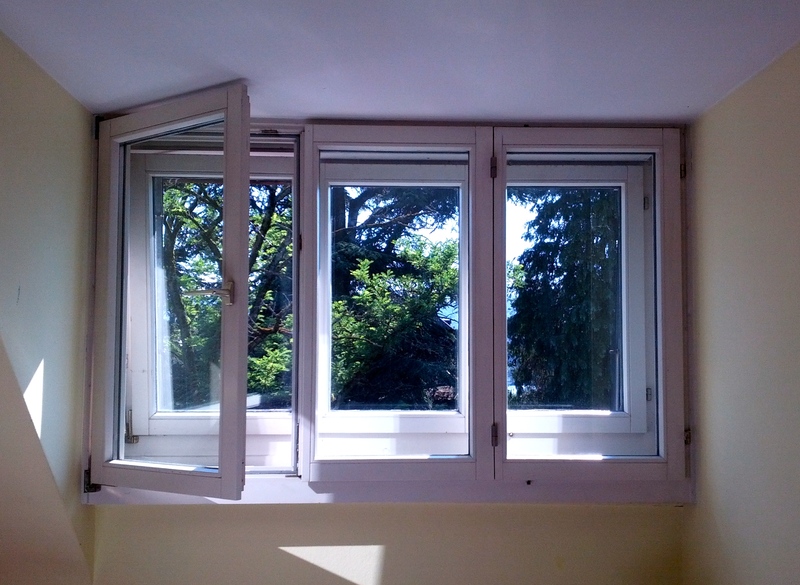 A view of green (and hint of lake beyond) from a lemon sorbet bedroom room and … a view of neighbors’ rooftops from the slanted wall kitchen! 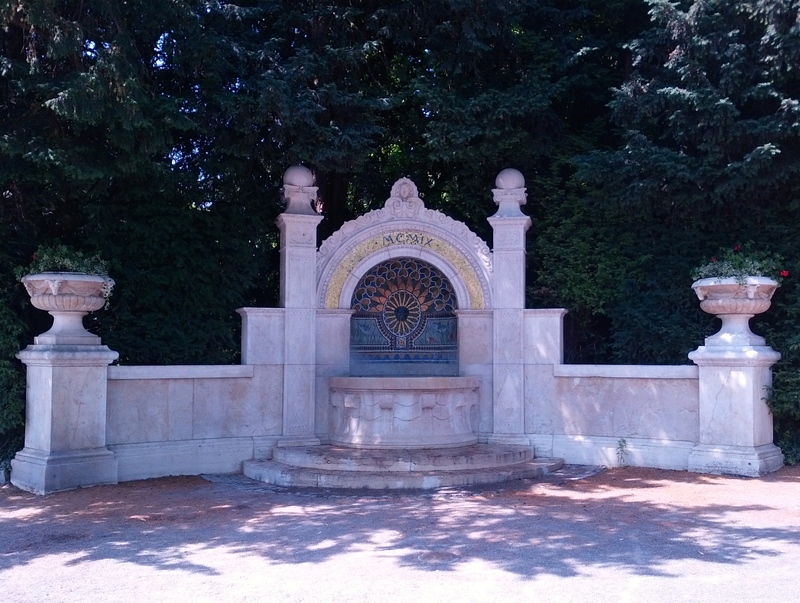 Beautiful water fountain along the path to Belvoir Park — read more about it here–another gorgeous day!